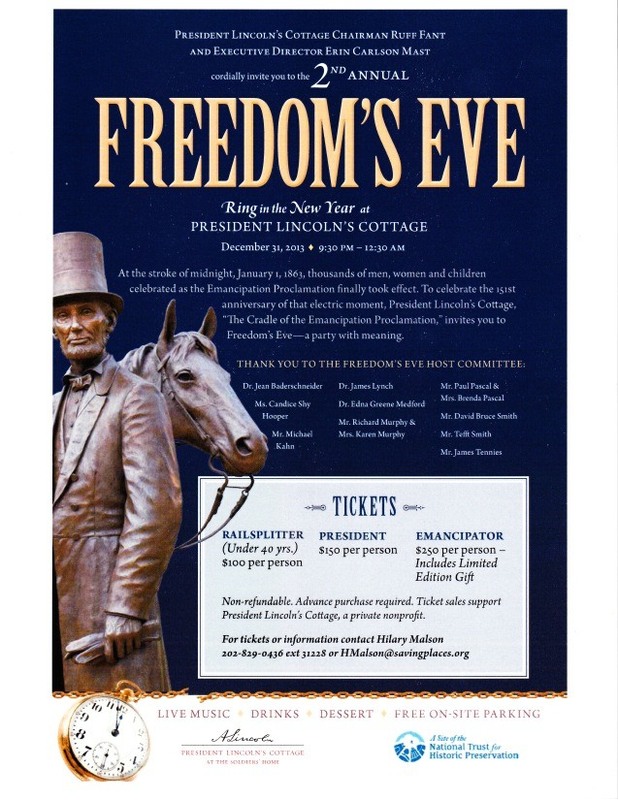 President Lincoln’s Cottage in Washington, DC is hosting a New Year’s Eve party with meaning by marking the “stroke of midnight, January 1, 1863” when “thousands of men, women, and children celebrated as the Emancipation Proclamation finally took effect.” Tickets are $150 to $250 per person, with a special discount for persons under 40 years old. Although the staff will be working on a holiday, it’s a clever way to connect history and support a good cause, too. What popular events in your community can be connected to your site’s history or mission? This entry was posted in Fundraising, Historical interpretation and tagged President Lincoln's Cottage on December 11, 2013 by Max van Balgooy.